Yosl bergner. 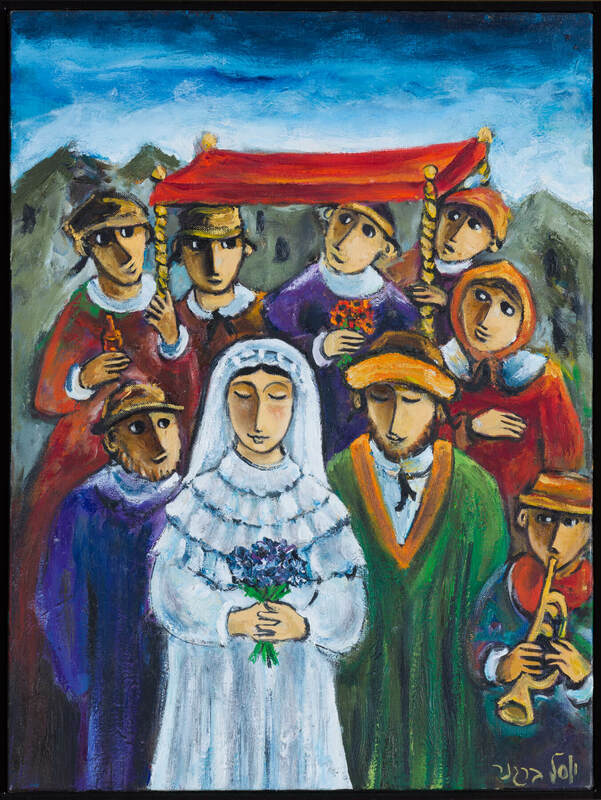 (israeli 1920 – 2017) wedding scene. Oil on canvas. 15.8” x 11.9” . Signed lower right and signed and titled on back.